Ferrari is to test a major new floor update at the United States Grand Prix as it bids to keep itself in the Formula 1 championship hunt. 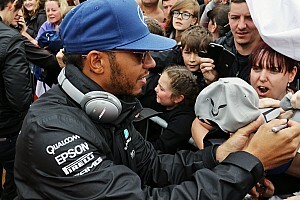 Although the team and Sebastian Vettel now need some good fortune to stop Lewis Hamilton and Mercedes clinching the crown, the team is not slowing down with its development push. Upgrades to the SF71H for Austin have revolved around the floor and bargeboard area, with a host of aero tweaks that the team hopes will deliver it a much-needed performance boost. 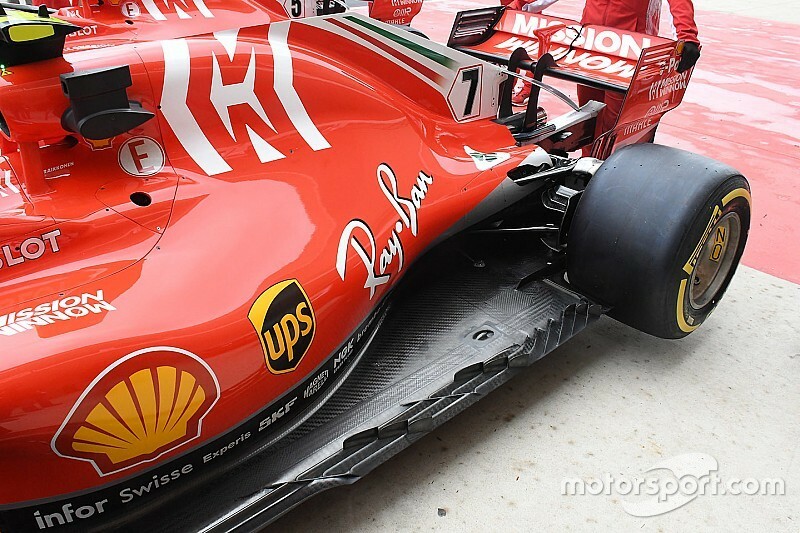 In front of the rear tyres, Ferrari has introduced two banks of extra fins above the side-channels. 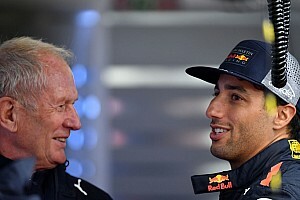 While the design will help better manage airflow around the rear tyres, in what is a tricky area of the car, one of the other aims of the fins could be to divert rubber debris. 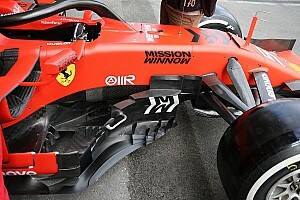 In Japan, during trials of a new floor there, tyre debris was seen to have blocked up a slot Ferrari had introduced at the back edge of the floor – negating any theoretical aero advantage from the new design. 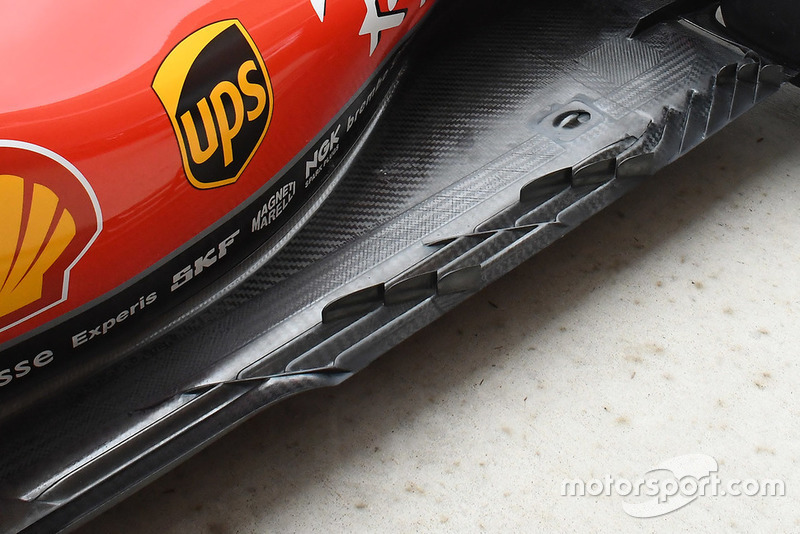 Keeping potential debris away from this slot should ensure it performs more consistently and produce the results the team has seen in the wind tunnel. 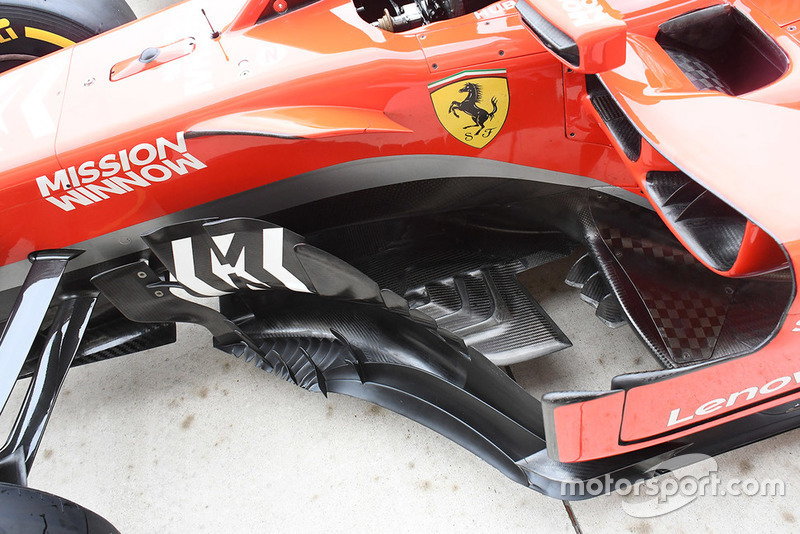 At the back of the floor, Ferrari has extended the area around the edge of the diffuser – adopting a similar style to Red Bull. Ferrari has also made changes to the complexity of its bargeboard area as well, with a host of new fins along the leading edge. Speaking ahead of the Austin weekend, Vettel was clear that Ferrari needed to deliver an uplift in pace if it was to have any hope of taking the fight to Mercedes. 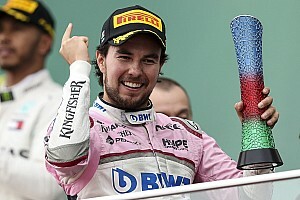 “It's pretty clear, we need to be quick enough to win the races and then it depends on what the others are doing,” he said. “In the last races we didn't have the speed. Verstappen: F1's penalty points belong "in the bin"